Join us Saturday, April 7th for a class and workshop with international sitar maestro Purbayan Chatterjee and yoga instructor Sandi Higgins! No music experience required, though all musicians are welcome to bring instruments to the afternoon session. Purbayan Chatterjee is one of the most sought-after musicians in India and a global ambassador for Indian classical music. An exponent of the Senia Maihar Gharana founded by Baba Alauddin Khan, Purbayan learned the Sitar from his father Pt. Parthapratim Chatterjee and Ud. Ali Akbar Khan, with Vocal training from Pt. Ajoy Chakraborty, and Tabla training from Pt. Anindo Chatterjee. Inspired by the tone and richness of Nikhil Banerjee, Purbayan brings to his music a personal touch of urbane sensitivity. 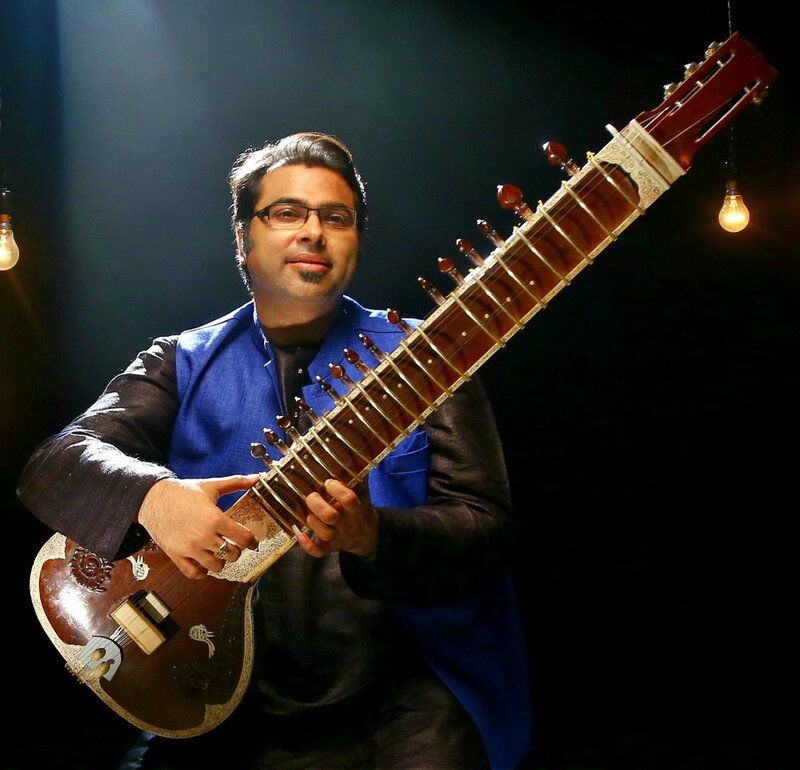 With several of his albums, including “Leher” and “String Struck”, hitting the charts, he regularly collaborates with world class musicians like Shankar Mahadevan, Ud. Zakir Hussain, and jazz legend Pat Metheny. Sandi teaches the Ashtanga program at Playful Yogi Space and has been practicing yoga since 2004. She has also studied Tabla and Indian music for many years. In 2009, Sandi travelled through India, the UK, and the USA to listen and learn from some of the greatest contemporary artists of Indian classical music, or Shastriya Sangeet, in the world today.